Tank Style Dresses run very true to size. The tanks are ribbed so they will stretch or conform to the shape of your child. 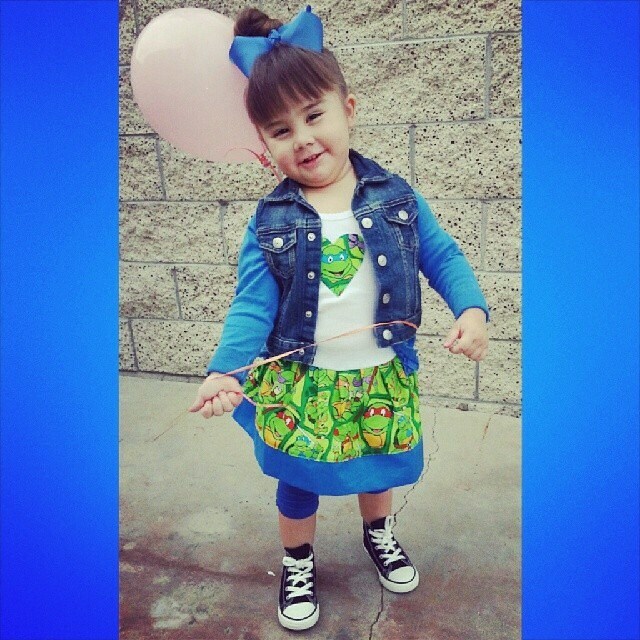 There is a character heart applique on the chest of dress. At checkout, please state the size, color tank, and border. 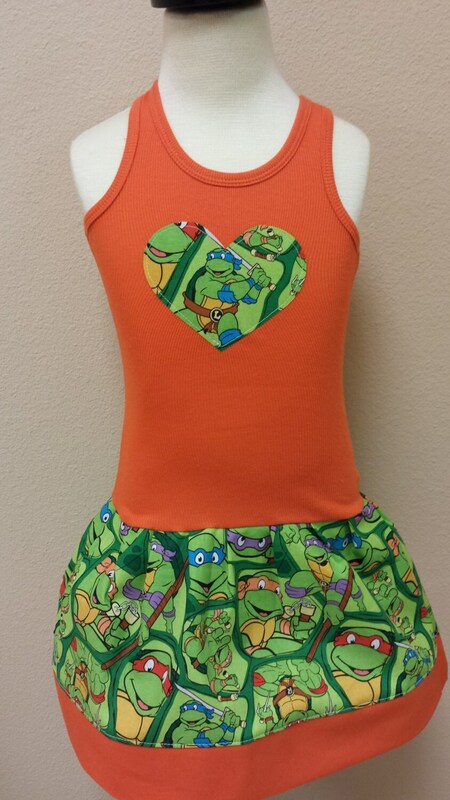 THIS IS NOT A LICENSED ITEM, THIS IS A CUSTOM HANDMADE DRESS. MADE TO ORDER. 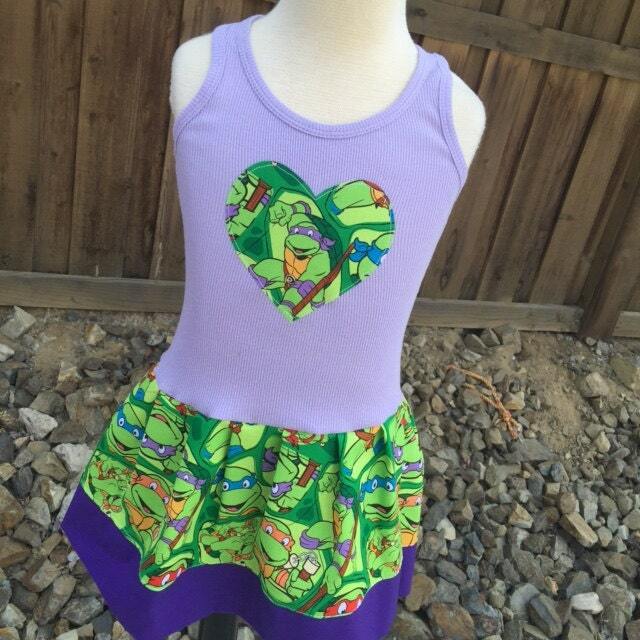 Last minute, I wanted to get my niece a TMNT dress for her big brother's themed birthday party. You came through BIG TIME! The dress is adorable and it came sooner than expected. The dress runs true to size and is even prettier in person. Thank you!! 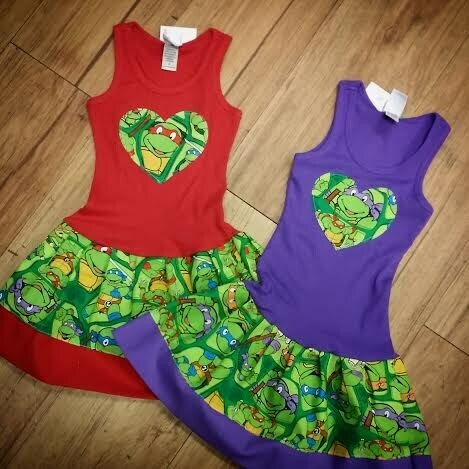 I ordered a dress for my daughters birthday party. Unfortunately almost a month later I still have not received the dress. I was told that they it was unsure if it had been shipped and that it would ship but still have received anything. I'm so glad that I had ordered another dress on Etsy from another shop or my daughter would have had no special dress to wear for her party. I never even received a tracking that it was shipped so that why I started to question where was it. After being assured that it would be mailed out still nothing. I would not order from this shop ever again.